The Richard DeVos Graduate School of Management at Northwood University develops all of these, and much more. 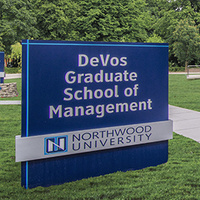 Northwood University’s DeVos Graduate School is a specialized business school focused on providing the tools you need to drive a market economy built on the principles of individual freedom, choice and responsibility. Join us for an open house event to learn more. Open House: Tuesday, October 30, 2018 - 5:15 - 7:00 p.m.
* DeVos Admissions Representative Lauren Bess will be available afterwards to answer any questions. For questions, contact devos@northwood.edu or Lauren Bess at 989-330-5049.